What is it? It sounds like you are trading properties on some obscure exchange or network, but this is really a structured sale of one property and a purchase of one or more properties. Both the sale and purchase can be through normal means, such as MSL listing, for sale by owner, etc. Why would anyone want to use this program? Its purpose is to defer taxes to a later date. Think of your 401k, one of the best advantages is you can grow your money deferring taxes until you retire. This is the best way to grow money, if you are constantly cutting a check to the IRS, it will definitely grow slower. Ok, but why would I want to use this program? Well let’s say you have an investment property that you have owned for 10 years. You have some monthly cash flow, you have built up some equity, and the property has appreciated, and you are thinking it would be nice to cash in and purchase a larger multiple unit property or maybe you want to split the proceeds and buy two or more properties. Your not getting out of the business you just want to replicate your successes on a larger scale. Great idea, but wait, I forgot about that depreciation thing. Yes, a normal sale will generate an event where you will be required to pay taxes on your depreciation, which could be thousands of dollars easily. All right so I will have to pay taxes on the depreciated value of the property as capital gains, but it seems like a hassle with a bunch of paper work. So, why would I want to do this? Ok, the bottom line is you defer all capital gains or losses to a later date. That’s right all capitol gains. In addition if you work with one realtor you may be able to work a deal where you pay a smaller commission on the sale of your property as long as your exchange property through the same realtor. There are a few stipulations, first you will need to use an intermediary qualified to handle the paper work involved in this transaction. This will also serve to ensure that IRS guidelines are followed for this 1031 exchange transaction. 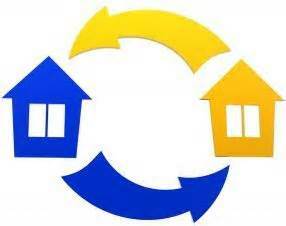 The sale of the qualified property and the purchase of the replacement property do not have to happen simultaneous. You will have 45 days to identify the property or properties to be exchanged and you will need to close the transaction within 180 days of the sale of the property qualified for the 1031 exchange. To receive full benefit of this tax break, the replacement property will need to be of equal or greater value, and all of the proceeds from the property to be sold will need to be used to acquire the replacement property. The taxpayer will not receive any of the proceeds of the property to be sold. Doing this will disqualify the exchange for the amounts of proceeds that the taxpayer received, this is similar to the rules set for transferring qualified 401k moneys to a qualified IRA rollover account. This is where you must have a qualified intermediary. The qualified intermediary will structure the exchange and will receive and hold moneys in an escrow account, while the replacement properties are being identified. They will also perform all paperwork involved and required by the IRS for this structured exchange. The qualified intermediary has performed this type of transaction hundreds of times before and know the process and steps to follow to ensure that all IRS rules and regulations are followed, so you will receive full tax benefit of the exchange. The reason that the 1031 is allowed as a non taxable event is that since the taxpayer is just exchanging one property for another property or properties that are of “like-kind” and that the proceeds were directly transferred to purchase the replacement property, there was no direct advantage gained by the transaction. The taxpayer has a continuity of investment by replacing the investment property that was sold, and therefore all gains are still locked up in the exchanged property. For more information of the IRS tax code on real estate exchanges go to the following website. Hopefully at this point your either convinced this make sense or at least worth investigating a little further.